Smoothie King opened a new location at Poplar & Perkins in East Memphis this summer. We were happy to celebrate alongside this new business in the Memphis community. 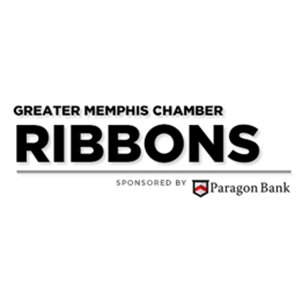 Thanks to our Ribbons sponsor, Paragon Bank, for their support of Memphis business! Why Memphis? Why this location? Memphis is a dynamic city for business ventures and this location is showing economic growth and development. What does your business do or provide? We provide smoothies with a purpose to compliment the health and fitness journey that our customers seek to have, while also providing a number of healthy retail alternatives. We joined the chamber to be able to network with like-minded individuals, to join in the movement to support other business owners and those trying to establish their own business, and to expand our knowledge of future business opportunities. What was your motivation for opening your own business? We both are strong advocates for health and fitness so when looking for a business, Smoothie King matched our passion, allowed us an opportunity to help others meet their health and fitness goals, and after further research this franchise met our personal and business expectations. Get to know the newest businesses in Memphis with more from our Ribbons blog, sponsored by Paragon Bank.